Weekly Block posted. This week's block can be found HERE. I decided to use a couple scrap bags of 3 different lines of moda fabrics that happen to have the Red, White and Blue color way. I wish I could remember the lines of fabric, but below is a picture of the fabric if you have an idea of what they might be, let me know! 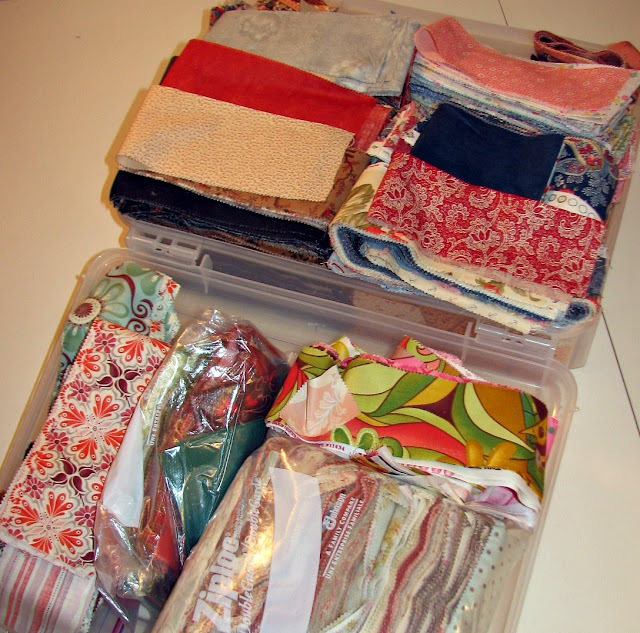 The fabric I am using is in the upper right hand side of the box! Now I do not have any other items to show as finishes today; please check back tomorrow ! Don't Forget to check these Blogs Out! Your fabrics look so organized there!! I am jealous. I like the RW&B block too. 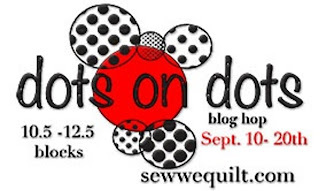 Leafs Me Happy Blog Hop Starts Tomorrow! Leafs Me Happy Blog Hop--Coming Soon!